Geoarbitrage: all the cool kids are doing it #3. Long-term readers of my blog, all three of you, will no doubt remember the posts I wrote about the concept of Geoarbitrage, the first one explaining the concept, while the second one talks about how the Frogdancer family tweaked that concept to suit our situation. Well, when I say ‘family’, I really mean me. I’ve run this house as a benevolent dictatorship for the last 21 years, so once I made the decision the boys had to go along with me. Part of the perks of being single. Geoarbitrage: all the cool kids are doing it #1. Talks about what ‘geoarbitrage’ is and how it’s slightly different in the southern hemisphere. Geoarbitrage: all the cool kids are doing it #2. 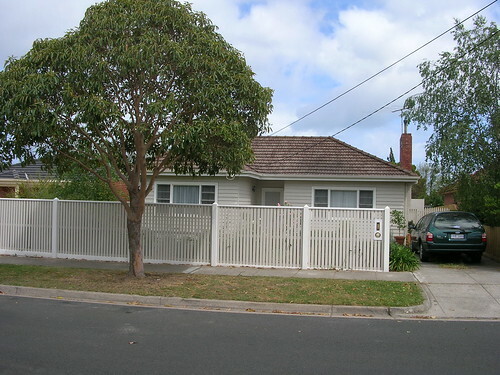 How I took the information in #1 and acted on it to find The Best House In Melbourne. Time’s gone by and yesterday was the auction of the right-hand-side townhouse. These were the ones that the property developer and I had designed, so I was incredibly keen to see what this one, (the larger one), went for. Here’s the web page for the property, for those unfamiliar with the Australian/Melbourne housing market. It runs through the stats and shows photos and the plan. I know I always like to have a look through and I thought you might like it too. A bit of background – I sold this property with my original house on it + the fully approved plans for these townhouses, in mid-2017 for 1.7 million dollars. It seemed like a hugely inflated price to me, but seeing as I wasn’t the one paying for it, I took it and ran. Turns out that I sold at the peak of the market. ‘Fortunate Frogdancer’ strikes again! Since then the property market in Melbourne and Sydney has softened by around 8%, particularly after the government brought in laws restricting overseas buyers from purchasing property. Apparently, too many off-shore Chinese buyers were ‘land banking’ here, pushing prices up and making it harder for first home buyers to get into the market. These townhouses were designed for multi-generational family living with the Chinese market in mind, as many families bring the grandparents over for 6 months at a time. Hence each house has 2 main bedroom areas. Heck, we even had the plans feng shuied! So I went to the auction with intense interest. Did I make the right decision to sell before the build, or would I have been better off to suffer through the process of building, (and the extra 15 months of bridging finance at 3K/month) to sell at auction? It’s not often you get to have a ‘sliding doors’ moment, where you get to see what would have happened had you made a different decision. How lucky am I? I got there just as the auction was starting. I thought I’d have to park a couple of streets away, but no. I got a park right around the corner. When I walked onto my old street, there were very few people there. Not even many neighbours, which surprised me. The townhouse was passed in at 1.525 million dollars. No doubt over the next week or two it’ll sell in private negotiations, but by gum! I’m so thankful I sold when I did. Imagine the stress? I hope that the builders end up making a decent profit. They’ve done a great job – the house looks amazing. But I can’t help feeling relieved. Frogdancer Jones read up about finances, investing and FIRE for 4 years before making an educated, yet still risky, move to secure the finances of her family. Looks like she made the right decision. I’ll keep you posted when I find out what it eventually sells for. Back in January 2018, when this blog was just beginning, I wrote a post about Geoarbitrage, where I talked about what it is and how Australians are starting to take advantage of it. We hear a lot about Mexico and South America in the FI community, but people down in our part of the globe have different options available to us. You might notice that at the end, I said I’d talk about how the Frogdancer family took this concept and tweaked it to our advantage. It’s been 8 months since I made that promise. Instead of saying that I’ve never really been in the ‘zone’ to write about it until now, let’s just go with the tale that I was practising delayed gratification with you. A couple of weeks ago I talked about how I paid off my mortgage on a single wage and became debt-free. When that happened, I thought that the story had finished. I was going to stay in that house until I was carried out of there in a pine box at the age of 120. I’d established an urban Food Forest with chickens, a huge worm farm made out of a freezer, over 30 fruit trees and 12 veggie beds, half of them wicking beds. I’d spent lots of money and countless hours putting all of this together, building up the soil, learning how to garden and look after chickens. All this was on a suburban block 16kms from the Melbourne CBD and life was good. Late in 2015, I’d just come back from a mammoth 9 week trip to Europe and I’d hired someone to paint the outside of my house. Then I went to an auction of a house 2 streets away. It was a similar house on a similarly-sized block. Nothing special – a 3 bedroom house with one living area and one bathroom. 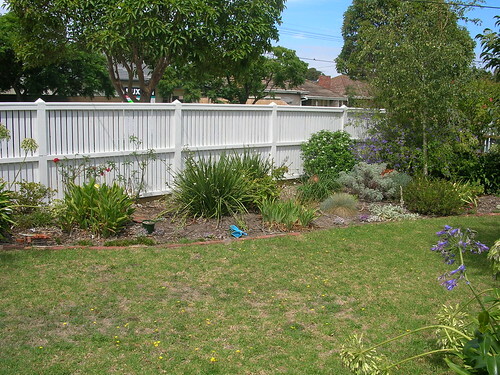 Nice, neat garden, a kitchen that had been updated maybe a decade ago – nothing out of the ordinary. It went for 1.3 million dollars, which stunned all of the neighbours. Most of us had been there for years – I’d moved in 19 years before and paid $136,500 for my place. We all marvelled at the price and patted ourselves on the back for being intelligent enough to buy just before the housing bubble hit. As I walked home, I was marvelling at how much equity I had in my paid-off little house and how all of the scrimping and scraping to keep it in the early years had paid off. I remembered when we were looking for a house to buy, (I was still married then), how we’d stopped outside the house to look at it, then driven away without going inside because the cladding was so ugly. When, a couple of weeks later, I viewed the house after it was passed in at auction and the real estate agent mentioned the owners’ reserve price and I realised that with our 40K deposit we could afford it – that’s when we decided to buy. The ugliest house in the best neighbourhood – what a cliché! But I guess clichés are clichés for a reason: they tend to come true. You see, when we bought the house one of the main drivers for me was that it was in the school zone of one of the best public secondary schools in Melbourne. My oldest son was just starting primary school that year and the youngest was only 6 weeks old, but I’ve always taken the long-term view. Over the years, the school’s reputation has only grown better and better. As the Melbourne/Sydney property bubble grew, property prices in this school zone began to grow even faster, with a 15% “School Zone” bonus being placed on the already inflated value of each property. Up until then, this had all been totally irrelevant to me. I was living my life, being vaguely grateful that at least my house wasn’t a total money pit – but really, who cared about rising property values? The boys and I needed to live somewhere and this place was it. But now… I looked at the two properties side-by-side. Developers LOVE deals like this, as it means they can squeeze another unit onto the block. Units and townhouses were beginning to pop up all over the zone, as individual houses were being priced out of the average family’s reach. I knew it was a viable prospect. My youngest child had finished year 12 the year before, so there was no real reason why we had to live within walking distance of the school anymore. Maybe I could sell my house in partnership with the neighbours for a bit more money than if we both sold them alone, buy a house in a cheaper neighbourhood and bump up my superannuation. I’d spent 10 years out of the workforce bringing up my boys when they were little and my super was woeful. But could I bear to leave my little house? I loved that house. It took the weekend for me to weigh it all up, walk around and say goodbye. It hurt, but again, I had to keep my eyes on the long term. 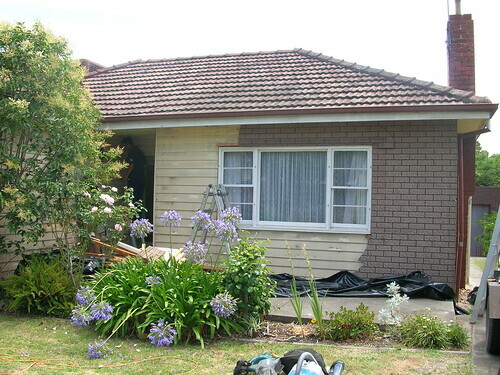 It turned out that the neighbours had already bought another house, so come what may at the auction, they had to sell. I had my place unofficially on the market, ie no sign out the front, but letting the Real Estate agents know that I was interested to sell. The house next door had a disappointing result – only 1.24 million. They had to accept it. I was offered the same amount for mine by the person who bought it, but I laughed and turned it down. I loved my house. I wasn’t going to just GIVE it away! Then a friend of mine contacted me. Her husband was a property developer. We sat down and agreed that we’d go into partnership together. We’d build a couple of massive luxury townhouses on the block and sell them. Assuming the bottom didn’t suddenly fall out of the property market in the meantime, he’d make a tidy sum and I’d make more than I would have if I sold the house as it was. I’ve never done anything like this before, but I took a leap of faith and we agreed to do it. The obvious downside to this is that we’d need somewhere to live while the townhouses were being built. Most people would just rent something, but we had 2 dogs and 2 cats. No rental would touch us. I had to buy something straight away and use expensive bridging finance to pay off the new house while waiting for the build to be completed on the old. Yikes! But I started looking. It’s funny, but at the start, I had a definite range of suburbs in mind. “I’m going no further than Oakleigh!” But the prices there were crazy. I fell in love with a house, but it was looking to go at the million dollar mark, which would defeat the purpose of doing the deal in the first place. I needed a few hundred thousand to throw into my retirement account. I needed to be near a railway line because my younger two boys didn’t drive, so I was pretty well locked into Bayside suburbs, which were pricier. I gritted my teeth and kept looking further down the bay. “I’m going no further than Parkdale!” Prices there had risen too far. “Mordialloc!” I actually bid on an Edwardian house that was in need of work and was on half a block of land, but I pulled out when the bidding got beyond 700K. It was only on half a block of land, for Pete’s sake! It went for just under a million. I nodded sagely. Wise advice. As soon as I set foot in the door I fired up my laptop and went straight to the real estate sites. …the price range looked do-able. The house plan was absolutely perfect for our needs. The block of land was smaller, which would mean that it’d be easier to keep under control. I couldn’t wait till Monday to ring the Real Estate agent and go and see it. In my search for the new house, I had a list of 24 things that were either “must-haves’ or “would be nice to have”. Turned out that this place had 22 out of the 24. What were the two that didn’t make it? A short commute to work and enough space for the chooks. So the chickens had to go and I had to listen to more podcasts. Oh well. The next day (Tuesday), I put in an offer and agreed to take Blogless Sandy down that evening to have a look. While we were there the Real Estate agent got the call that the offer was accepted. I was ecstatic. And I little scared. 750K is a lot of money – but coming from the suburb that I did, it still seemed ultra-cheap for a house way bigger than the one we were living in, 30 years younger and literally 5 minutes walk from the beach. I paid the deposit the next day, thanks to Blogless Sandy who lent me the money until I got the bridging finance organised. I’d just spent all my ready cash on my trip of a lifetime, not expecting to be buying a house 5 minutes after I got back. Incidentally, this is another reason to get your financial act together – you’re in a position to be able to help people when they need it. I wouldn’t have been able to swing this deal without her and I’ll be forever grateful to her. The next day was Christmas Day, and I was able to loudly announce to my family after dinner, “I just bought a HOUSE!” We organised a 90-day settlement and we moved in at the next school holidays, in April. What didn’t go to plan? The process to get planning permits/an arborist reports/water board permission/architect plans etc took way more time than we estimated. Instead of taking 6 months, it took 15 months for final plans to be stamped by the council. That’s a lot of extra months paying bridging finance at 3K per month on a teacher’s wage. The distance away from where I used to live took too much strain on my side-hustle as a Thermomix Team Leader, so I had to drop it. The upside of this was that I was able to go back to full-time work as a teacher, instead of having to take a day off a week to accommodate Thermomix. The bridging finance took 72% of my takehome pay for the first 9 months. Then I went back to full-time work and it dropped to approximately 55% or something. It was very stressful having to see so much of my wage going out the door while at any moment the boom times in the Melbourne property market could end. If that happened, the gamble would’ve all been for nothing. I wouldn’t go broke, but the sacrifices would have been wasted. When the planning permits were all in place, the property developer friend and I went to see a local Real Estate agent to see if we were on track with what we were planning. During the course of the meeting, he casually mentioned that a property in the Zone with fully-approved plans could sell for as much as 1.7 Million dollars because developers are always looking for plans that are ready to go. I thought that he was talking through his hat. That’s a ridiculous sum of money. Turns out that he knew his market precisely. After paying out the real estate agent and the property developer for his costs and 100K for his trouble, I was able to walk away with exactly the amount of money that I probably would have received had we gone through all the trouble of the build. OMG. As it happens, over a year later the builders are still working on the development. That would have been over a year more of the bridging finance that I would have been paying. You can’t tell me that wouldn’t have been biting by now. An added bonus, that I could never have planned for, was that over the last 2 years my new suburb has become more popular. My house is now worth 1.1 million, which more than covers the cost of the bridging finance. This was pure luck, but I’ll take it! By moving 20km further out from the CBD, I was able to capitalise on the equity in my home and put it to work. I was able to max out my superannuation account, which I was happy to do, given my age. You can’t access super until you’re 59, which is about when I’ll be looking to retire, so I’m happy to lock the money away until then. If I was younger, I might have deployed it differently. But a healthy super fund? That gives security. Old Lady Frogdancer will be fine. She won’t have to worry about sponging off her kids in her old age. I also, as an added bonus, walked away with roughly 350K extra. Before I thought of doing this deal, this is around the amount of money that I thought I’d end up with in my retirement account when I retire at the age of 69. Now I have it as ‘extra’ padding! I decided to reserve 50K of the ‘padding’ money to set up the backyard to bring back the food forest idea on a more limited scale than we used to have. I’m in the process of getting this done now. I’m spending money on what I value, which is a rare and precious thing to be able to do. The house we now live in suits my family going into the future. As you can see, it has 2 zones – which means that at present, the two sons I have living with me have their own part of the house at the back, while I live in the front with my ensuite and walk-in-robe – such LUXURY!. But, with an eye to the future – when they want to come back with wives/partners to live cheaply while saving for a house deposit, we won’t be getting into each others’ way. I’m a big believer in privacy and this house definitely offers that. Ever since I left my husband back in 1997, providing a secure base for my boys has always been huge for me. This place enables me to keep that option open for them in the future. It also suits the way of life I want to lead going forward. I’m within walking distance of the Aldi, the train station and (joy of joys!) the dog beach. The design of the house is by far more practical than the old house and it looks beautiful as well. I’m still within easy reach of my family and friends, and although my commute to and from work is now 2 hours out of my day instead of 6 minutes, my years at work are limited so it won’t last forever. I’m just down the road from the Freeway systems, so it’s a straight drive to the airport. Ok, so Frogdancer is happy with the outcome. Good for me! But what’s the take away for you? The beautiful thing is that unless I’d started educating myself about personal finance, Financial Independence and the FI/RE movement, with all that it entails, I don’t know that I would have recognised the opportunity when it knocked, or been brave enough to take the leap if I had. I’d read about geoarbitrage on other blogs, but they all talked about moving to a cheaper state or country. That didn’t suit me at all – but moving to a cheaper SUBURB was the way I tweaked the concept to suit us. That’s the point of the whole thing. By reading books and blogs, listening to podcasts, going to conferences and opening up to others’ ideas and points of view, you’re adding options to the smorgasbord of possibilities. You hear this saying a lot – “The point about personal finance is that it’s PERSONAL.” There’s no one way to work the system to get where you want to go. It’s exciting. There’s so much information out there that people are generously sharing. Much of it won’t be applicable to you, but gee whiz! Every now and then someone will write or say a nugget that could change your life. Knowledge is power. Opening your mind to other people’s strategies and ideas enables new connections to be made in your mind when you look at your own situation. You have the chance to optimise your current situation and tweak things to make your life even better. Yes, it’s very exciting. For example, I gained security by doing this real estate deal. However, going forward, I’m not revisiting this strategy. Australia’s urban property market is, I believe, vastly over-heated, so I’m turning to the share market instead. I’m looking at all the information available to me and I’m tweaking it to suit my situation. I’m not following just one way to financial freedom. I’m learning about the options and selecting the ones that suit me best going forward. I strongly believe that anyone else can, and should, do the same. There are opportunities stretching to the horizon for those who listen, learn and strategically act. Why shouldn’t one of those people be you?